Have you ever wanted to join the circus? Then the Trapeze School of New York is for you! 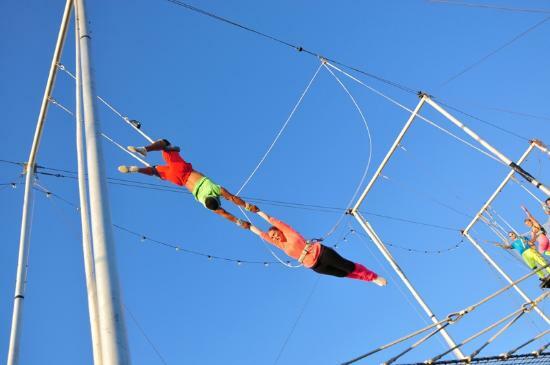 Fly high above Hudson River Park on a trapeze bar, or choose the less death defying trampoline class if you are height adverse. The classes are designed for beginners so let go of the fear the fly!